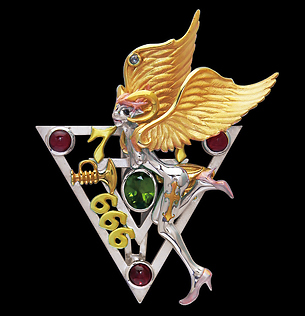 Broach / silver 925, peridot, garnet, sapphire, ruby. Copyright c Crane-Waltz. All rights reserved.